Chair in the Shade: Book and Cuppa Show Off + A Giveaway! Alright, so I got all sorts of cool things to show you guys today! First off, the Book and Cuppa Swap from Chaotic Goddesses is wrapping up. I was paired with the lovely Diana from Book of Secrets. She reviews books and especially likes mysteries, suspense, some classics, and gothics. We had some similar interests and we had fun getting to know each other and I really enjoyed reading her blog, and its gorgeous! Seriously, go check it out! So, want to see what I got? Check it out! We have a copy of What Alice Forgot by Liane Moriarty, which has been on my wishlist since last summer. It's a nontypical mystery, in that twenty-nine year old Alice wakes up to find she's thirty-nine and her life is all twisted around from how she last recalled it. So, she's trying to figure out what happened in the last ten years to get her to this point. She also sent me this awesome coffee cup! It's the perfect size. I love roomy mugs, but they still need to fit under my single cup coffee maker. This one is perfect, love and it's bright and cheery too. Great for early mornings. As if that wasn't enough, she also sent two Chocolove candy bars! I love Chocolove. They're made in Boulder, Colorado, and they come in like twenty some different flavors. And... a bag of coffee from The Roasterie, which I'm looking forward to trying. I love trying new coffee and regional brands are a great treat. And now... on to the Giveaway. I'm always on the lookout for new affiliates who I think will be interesting and provide something worthwhile. Recently, I signed on with Book Outlet. They have a wide selection at great prices- like seriously, I found some for $1.95. I kind of look at them as a used bookstore price wise, but with new books. They have all genres: mysteries, kids books, fiction, memoirs, cookbooks, adult coloring books, you name it, you can find it. One feature I really like, is that you can type in any authors name and it will show you any books available by them, but also other books that are of similar taste. So, up for grabs is a $25 gift card. To enter, simply visit Book Outlet, and give me a title of a book you'd like to buy if you won the gift card. If you follow along on Bloglovin, you can get a second entry. If you don't and would like to, just click the link in the entry box. Winner will be selected at random and notified by email. The person selected, will have 48 hours to respond and I will get the gift card info to them. If the winner does not respond within 48 hours, a new winner will be drawn. And, be sure to check out the link up over at Chaotic Goddess to see what everyone else got from their partners, and find some cool, new reads. I've followed Diana for years, and I love her blog! She sent you some wonderful prizes, and they are all color coordinated. Got to love that! I also like the name of your blog. So cute! Thanks for hosting such a generous giveaway. 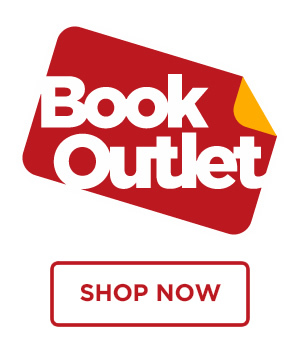 I need to check out Book Outlet! I LOVE Book Outlet...I am constantly getting heavy boxes full of literary treasure from them. I would get Drawing and Sketching Secrets: Over 200 Tips and Techniques for Doing It the Easy Way if I won the GC. Your partner made a good choice with the Chocolove bars! There are so many good books one book outlet, I can't just pick one!!!! Swallowing Stones by Joyce McDonald, The Book of Broken Hearts by Sarah Ockler, and What We Lost by Sara Zarr. I'm glad you liked everything, Kaylee. I had a lot of fun putting your box together! I loved What Alice Forgot, I hope you enjoy it. If I win the gift card I would get The Outlandish Companion by Diana Gabaldon. I have read all of the Outlander series and got one of the Lord John books in this swap. Looks like you got some amazing items in your swap. How exciting! You can't go wrong with books and chocolate!! Thanks for the fun giveaway too. If I was lucky to win, I'd really like something by Morgan Matson - either Second Chance Summer or Since You've Been Gone. I have not visited Book Outlet till now! I found some great bargain books for my grandson! The Grouchy Ladybug by Eric Carle would be one of my choices! I'd get the book Moonface: A True Romance. I would get some of the Redwall books by Brian Jaques...our son is entranced by them, so he could continue building his collection! I've never heard of this web site, thanks for introducing me! I still don't have a calendar for 2016, so if I won, I'd get the Chicks in Hats 2016 Calendar. You should take a look at it, it looks both cute & funny! Jim Butcher's The Aeronaut's Windlass. I have the audio, but want the hardback too.